Are Chimney Cracks a Problem? 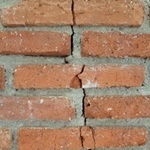 We get asked all the time whether or not chimney cracks are an immediate problem. Likewise, why do different chimney inspecting companies provide different repair quotes for the exact same chimney? A sommelier might joke about what the difference is between a $30 bottle of wine and a $10 bottle of wine: $20. While this isn’t the most sophisticated answer, it could be the truth in some scenarios, depending on the complexity of the product in front of you. Clients of Wisconsin Chimney Technicians sometimes prefer to receive a second or third estimate prior to investing in repairs, which we whole-heartedly understand. If you call three different chimney inspectors, you might very well get three different quotes. In the end, it can be extremely difficult to discern which chimney inspector is trying to fleece you out of undue money, and which chimney inspector is too inexperienced to notice immediate problems. Chimney Diagnosis: Do We R-E-L-A-X or P-A-N-I-C? Cracks in chimneys are OK so long as they do not exceed the size of a nickel. If you can fit a nickel in between the crack, it’s time for a repair. In cases where the width of the crack is smaller than the depth of a nickel, you are able to wait. Definitely note that the crack will inevitably spread, although the repair can still be put off. Of course, if you prefer us to fix any cracks sooner rather than later, we can definitely fill them in (if cracks in general bug you, you’ll want the masonry to look 100% perfect). 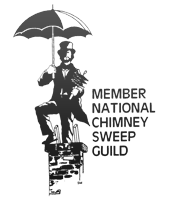 Hopefully this little nickel trick is helpful to you in analyzing which chimneys sweeps are trying to quickly cash in, as well as which are sincere. 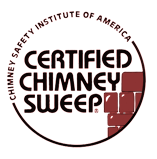 Overall, we recommend a complete inspection to make 100% sure you chimney is equipped for safe use. See our chimney FAQ for more helpful answers and tips. Have any other questions? Contact our Wisconsin's Best Chimney Technicians and ask away!